Looking for a professional, reliable cleaning company? Based near Cardigan, we deliver excellent office cleaning in South Ceredigion, North Pembrokeshire and West Camarthenshire. Running a business involves all sorts of tasks that are necessary – but not at the core of what you do. Cleaning is one of those tasks – necessary because it’s vital to maintain your premises as part of your brand image and to create the right impression for customers. Regular cleaning helps maintain the value of your premises. 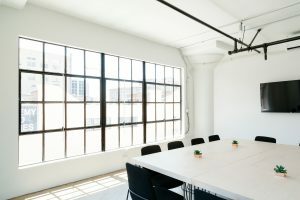 Finally – and perhaps most importantly – a clean working environment helps your staff feel valued and increases productivity. But you didn’t go into business to do the cleaning – which is why we did! Image is everything in the 21st Century – and creating the right impression is vital. That doesn’t necessarily mean flashy branding or carefully worded mission statements, but a dirty, run down office can do more damage to your brand than you might think. Would you want to do business with a company that can’t be bothered to keep its offices clean? We live in a world where first impressions count – so make sure your offices are up to scratch by engaging a reliable, professional team to come in and clean. While creating the right impression for your customers, suppliers and members of the public is important, engaging Busy Bee Natural Cleaning to clean your office premises means that you will also be creating a healthier environment for your staff. It’s amazing how much a clean workspace can boost productivity. Add to this the benefits of creating that clean workplace using natural, environmentally friendly, and it’s a winning combination. Our cleaning preparations are made by us, using formulas that we have developed after researching alternative cleaning agents to the harsh chemicals that fill the shelves of our supermarkets. The results are amazing: high standards of cleaning without leaving behind the chemical residues that can aggravate health conditions and damage the environment. Our approach is client-focussed. We will visit your premises and discuss where the priorities are, what needs to be cleaned and how frequently. As far as possible, we make sure the same cleaner (or cleaners if more than one is required) carry out your cleaning every time. This means they are familiar with your offices and what needs doing, and you have the peace of mind that you have someone you know on site. We draw up a checklist for every individual cleaning assignment and carry out spot checks to ensure our cleaners consistently meet the standards we set. We keep in touch with all our clients to ensure that they continue to be happy with the service we are providing and regularly send out evaluation forms. Feedback is welcome – the good and the not so good – and we’re constantly striving to make our business and the services we offer better. Our business is cleaning – get in touch to find out how we can help your business!